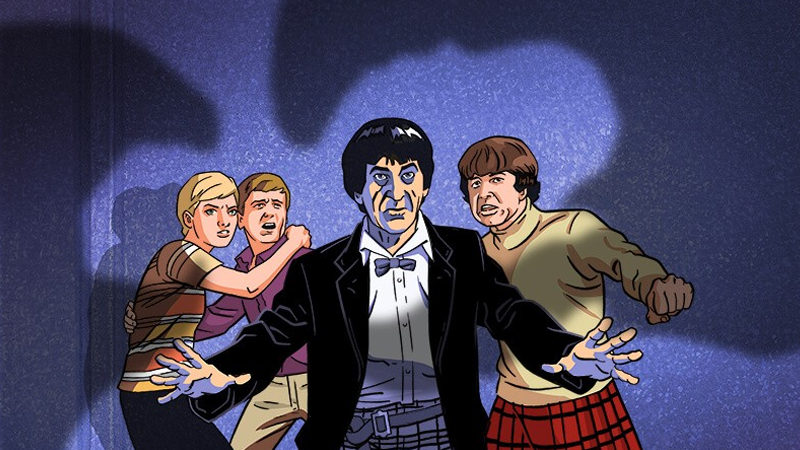 The Doctor and their friends face the Macra Terror! Ninety-seven episodes from the earliest eras of Doctor Who remain lost, after old BBC archival policies meant the original film copies were destroyed to save space. Slowly but surely, parts of that missing TV history are being recovered—and when they can’t be, the BBC is turning to animation to bring them to life. The BBC has revealed that the 1967 Second Doctor serial “The Macra Terror”—all four episodes of which were lost as part of the BBC’s archive junking—will be getting an overhaul for a home release next year. The story saw the Doctor and his companions Ben, Jamie, and Polly venture to a human colony in the far future, a seeming vacation paradise where guests lived carefree and happy lives. But, of course, this is Doctor Who, and all was not as it seemed—because the colonists were being brainwashed by giant killer crabs known as the Macra, and were forced to mine a toxic gas the Macra needed to survive. “The Macra Terror” was the Macra’s only Who presence for a very long time, until 2007's “Gridlock” re-introduced them as an offshoot colony that had transformed into feral monsters after gorging on the pollution caused by New Earth’s subsurface traffic colonies. Using a surviving audio recording of the story, “The Macra Terror” will be completely animated, and available in both color and black and white when it hits Blu-ray and DVD in March 2019. Alongside the animation of the story, there’ll be new special features including commentary and a behind-the-scenes look at bringing the lost serial to life. Those legs! Yep, already way creepier. Hopefully the Macra’s reign of terror will begin anew, when “The Macra Terror” hits DVD, Blu-ray, and digital download on March 18, 2019.